It’s a rock. Shaped like a chair. It’s in the middle of the woods at Mashamoquet Brook State Park in Pomfret. I’m not sure what more I can say about it. 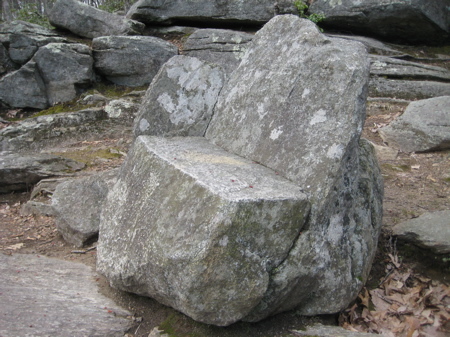 It’s pretty cool; this rock chair. It makes you feel like a caveman, relaxing over your woodland domain in the chair you just spent the season chiseling out of sheer boredom. 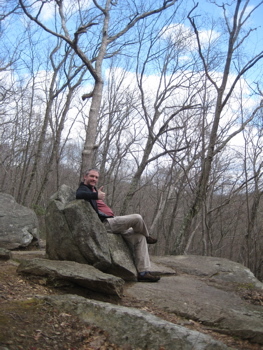 Of course, this chair is entirely natural – though its placement certainly feels artificial; sitting out on a flat ledge above a fairly substantial cliff. I rather enjoyed hanging out in Indian Chair. It’s a big rock. It’s flat… Like a table. It’s in the middle of the woods at Mashamoquet Brook State Park in Pomfret. I’m not sure what more I can say about it. Table Rock is situated just off of the Red Trail right below the northern intersection with the Blue Trail, about a third of a mile south of Wolf Den Drive. I don’t know what I expected beyond what I got. I wouldn’t mind having a picnic on Table Rock someday, but then I’d be eating lunch ON the table instead of AT the table, and that’s just not polite. 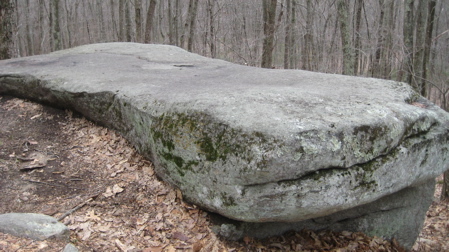 Of the three named rock features in the park, this one is probably the least exciting – but hey, it’s still cool. It’s not like you have a giant stone table in your backyard, now do you? 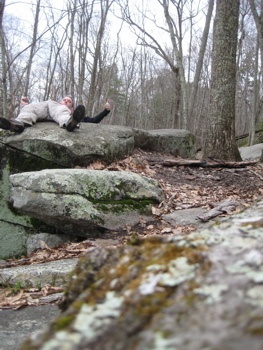 What better way to spend a couple hours than traipsing among some northeastern Connecticut hills and cliffs finding rock chairs and tables? 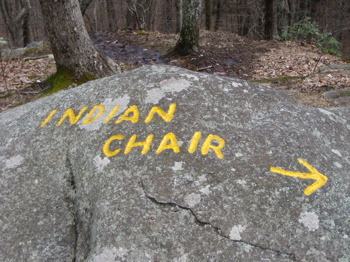 Y’know, they should move Indian Chair over to Table Rock so people have a place to sit. I’ll see if I can use my CTMQ pull.